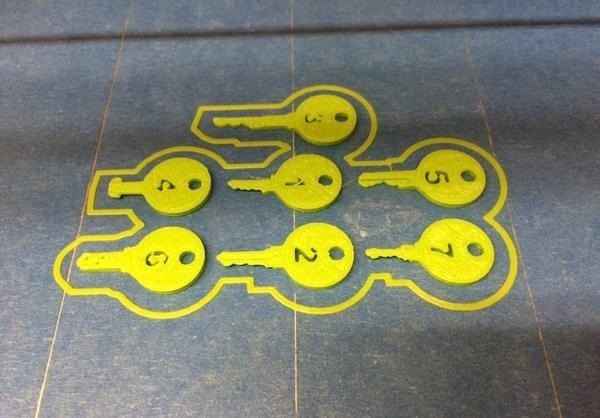 Xylitol, the lock picker who created the CAD files, hadn't personally tried any of them out himself when he made them, but shortly thereafter, people reported that their printed master keys actually worked (video proof). 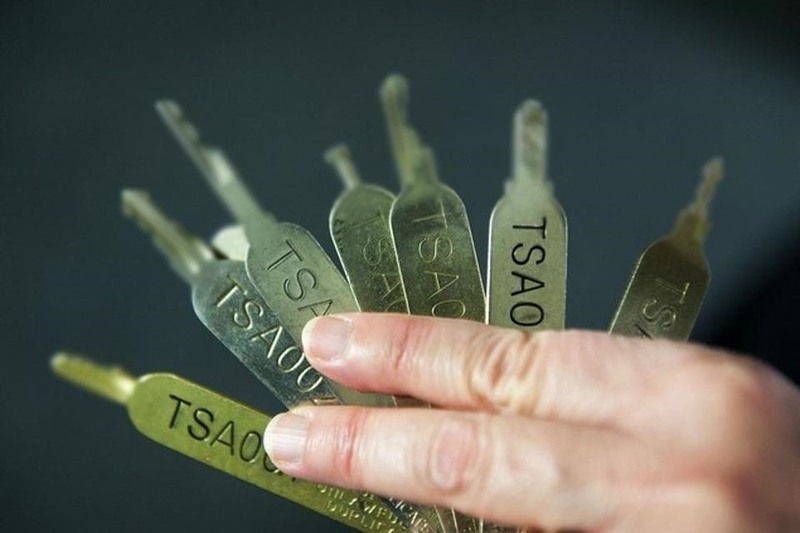 That means, anyone that can print these keys can unlock any brand "Travel Sentry" lock, no matter if it's from Master Lock, Brinks, Samsonite, American Tourister, Stanley, or any other manufacturer. Makes you think twice about "locking up" all your holiday luggage, right? While this was a huge security blunder by the TSA and Washington Post, approved travel locks were never truly meant to stop people from breaking into your luggage. The shackles are so thin a Leatherman could probably cut through them, they're easily picked, and you can bypass them altogether if you have a pen. The locks are primarily to help the TSA inspect suspicious luggage before it makes it onto an airplane, and have long-since been warned of their vulnerabilities. And if you're worried about some random people using these on your luggage locks at the airport, then there's not much you can do besides pack cheap (as in don't put expensive or valuable items in your bags). Really, you should only expect to use them to make sure your bags don't accidentally unzip mid-flight. That's the only reason I use them. 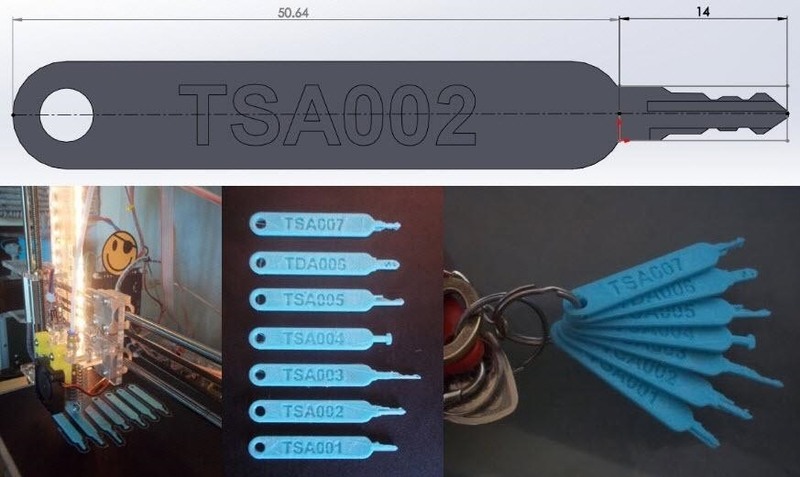 Xylitol shared all of the STL files for the TSA master keys over on GitHub, and you can download them all in this .zip file. 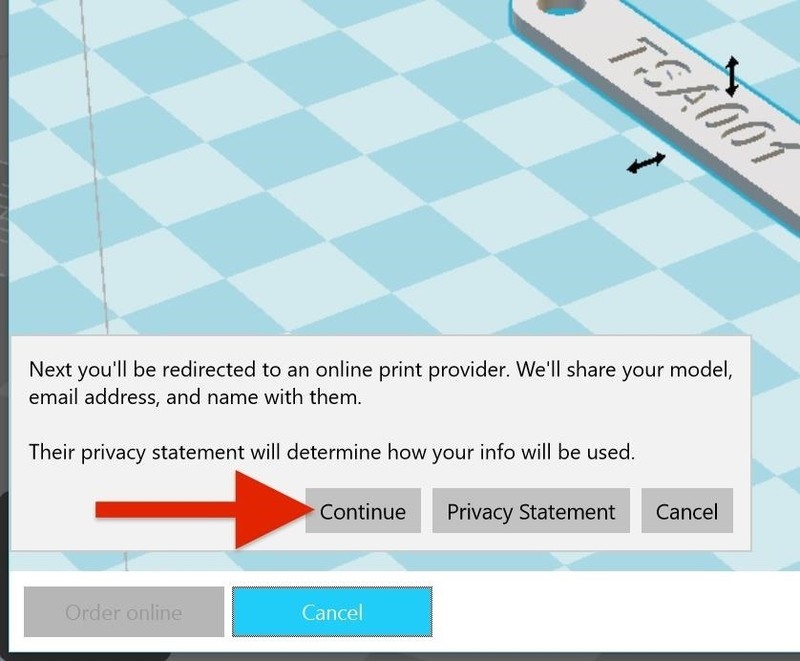 If you plan on printing these out at home or work, then just open up the files individually in your CAD software and print them out. In this example, I'm using Microsoft's free 3D Builder on Windows. 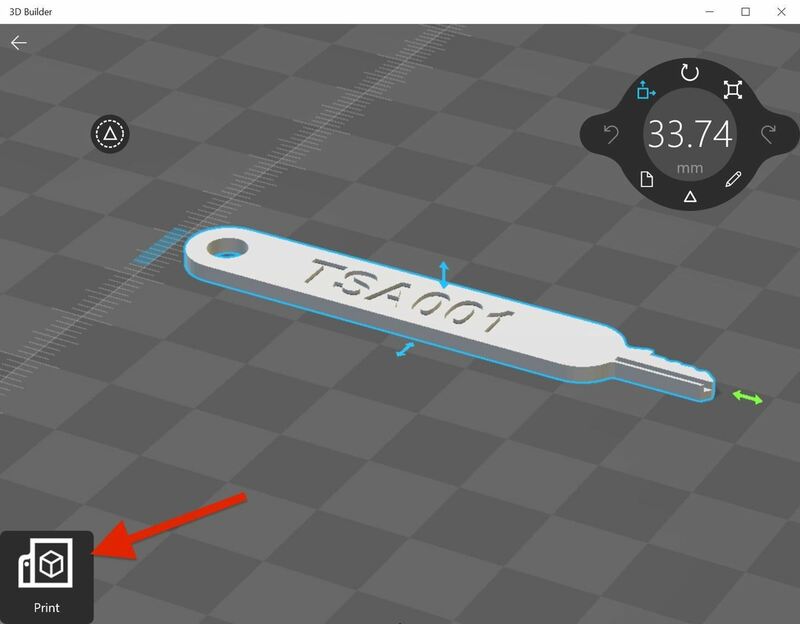 After opening up one of the key files, simply hit the Print button. 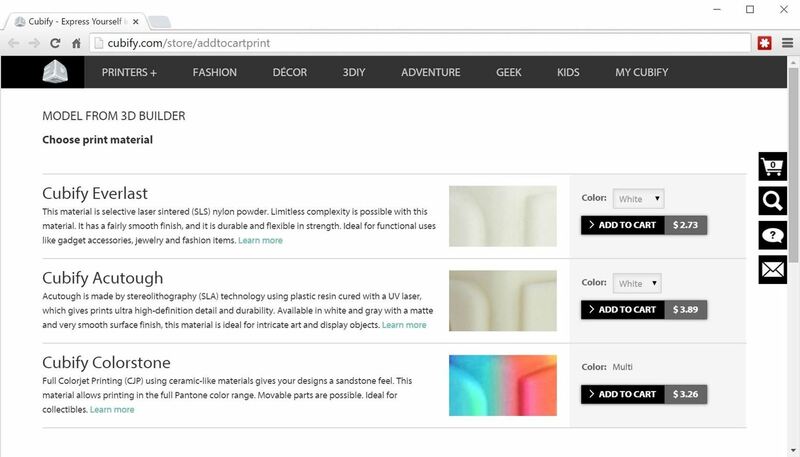 If you have a 3D printer connected, make sure to select that and begin printing. If not, you can order the key online from Cubify. 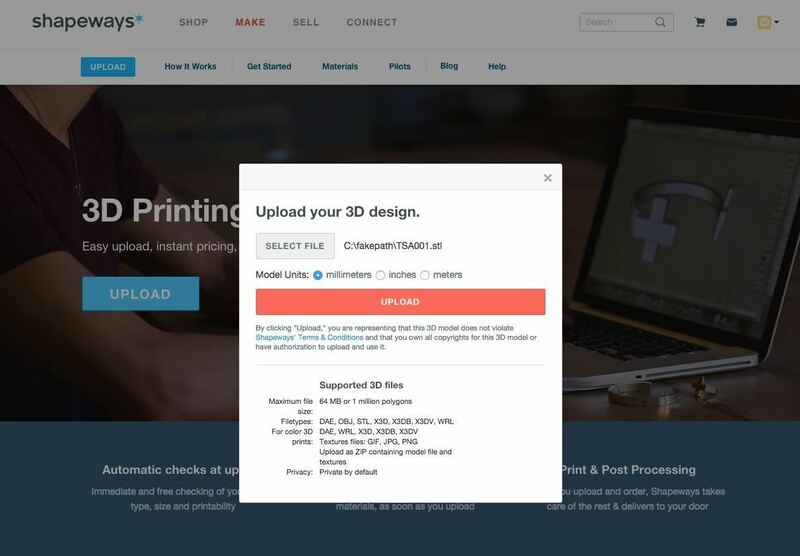 If you don't have any CAD programs, and don't care to download any, you can simply upload the STL files directly to 3D printing service of your choice. 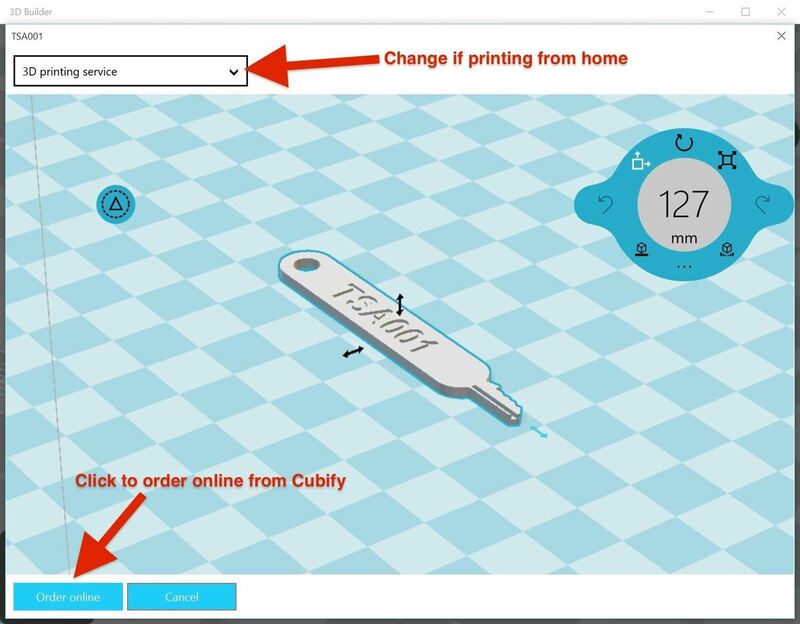 Cubify is an obvious option, and the prices are the same as above with a few more material choices like Cubify Frost and Cubify Clear (which are slightly more expensive). I also tested Shapeways and it works just as well. When you're uploading the files, just make sure to select "mm" for the units. For the first key, I was given 17 different acceptable materials for the size and dimensions of the key, the cheapest being $2.38 from Elasto Plastic and most expensive one being $1,427,73 from Platinum. Suffice to say, the three-buck one should be good enough. 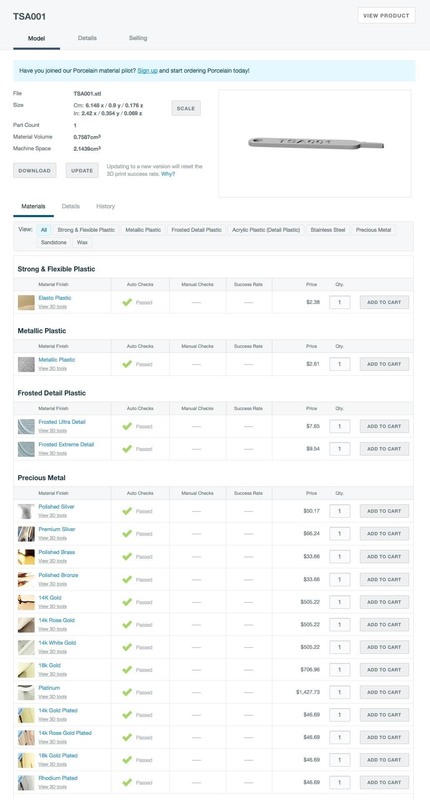 Unlike with Cubify, shipping is much cheaper, as they group the products together (when possible) in one $4.99 First-Class shipment. Most everyone has reported that these models work well, but if you have any issues reproducing the master keys, let us know below. Locks are meant to be broken.